In addition to the portholes, I wanted to get the winch head put into place on the starboard side of the aft cabin. Because I added the sub-deck and all, there wasn’t enough clearance to put the winch head where indicated in the instructions, so I had to mount my a little aft where the cabin is a bit taller. The part is a nice turned brass fitting which I elected not to paint, at least for now. It’s nice to have a little bit of brass on a boat, but I don’t know if a brass winch head makes sense or not. 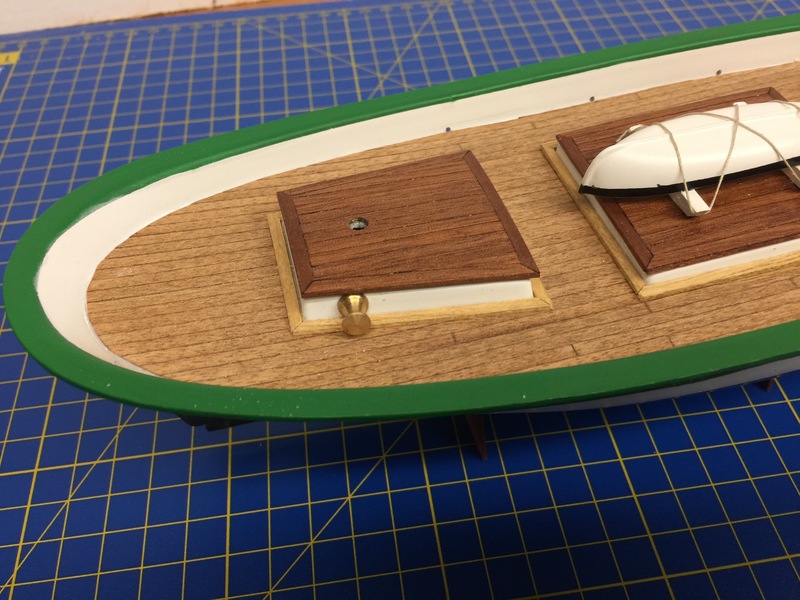 I was anxious to put the cabin roofs on, but up to now, I couldn’t do it because they would have been in the way of my adding the portholes and possibly the winch head. As you may recall, I planked the laser-cut cabin roof pieces. This is mentioned in the written instructions, but not really indicated in the diagrams. For those not so adventurous, You could just paint or stain the cabin roofs without planking them, if you so choose. Planking looks nice, but if you’re looking for a quicker build, using less wood, you can certainly just use the laser-cut pieces, as is. If you do plank the roofs, make sure to pre-bend them to fit the curvature molded into the tops of the plastic cabins. I ended up soaking my roofs and clamping them over wood strips that were placed to give the roof pieces the right curvature (Sorry, no photos of that). Now, I planked my cabin roofs before I bent them to shape. Do not do this! I strongly recommend pre-curving the laser-cut roof pieces before planking them over, as it’s much harder to curve them once planks have been glued into place. In fact, just follow the written instructions and glue the roof into place first, then plank it. It should be much easier to deal with that way. You may notice that the molded plastic has a bit of a rounded edge at the top. Fortunately, this is mostly hidden by the overhang of the roofs. But, if you look closely, you can see it. This is unavoidable, unless you want to putty and file the edges to a sharp corner. If you’re going to do that, you’ll need some putty for plastic. As for the actual planking of the roofs, I rubbed the plank edges with pencil to make them stand out more and to simulate caulking before gluing them into place. The simplest way to plank is to run all the planks the full length of the roof pieces starting at the center line and working outward from there. I added a strip all the way around the edge as it’s more realistic and doesn’t show bare plank ends. The easiest way to do this, I found, is to glue in strips along the fore and aft edges. cut the side edge planks to fit, but don’t glue them into place, just get them ready. Next, cut planks to fit between the fore and aft edges, laying them in, starting at the center line and work toward the edges. When you get close to the edges, use the edge planks you cut early as guides to help you taper those last planks to fit. Finally, glue the edge planks into place. I hope that makes sense. It’s a pretty standard way to plank a cabin roof. Note that you’ll need to cut the corners at nice angles so that the edge planks all fit together nicely. I wanted to finish up more of Part D of the instructions, which deals with all the fittings around the main hatch. Some time ago, I painted the kit’s pre-molded plastic cleats white. Two of these go in the deck on either side of the main mast, so I drilled holes and glued the cleats into place. 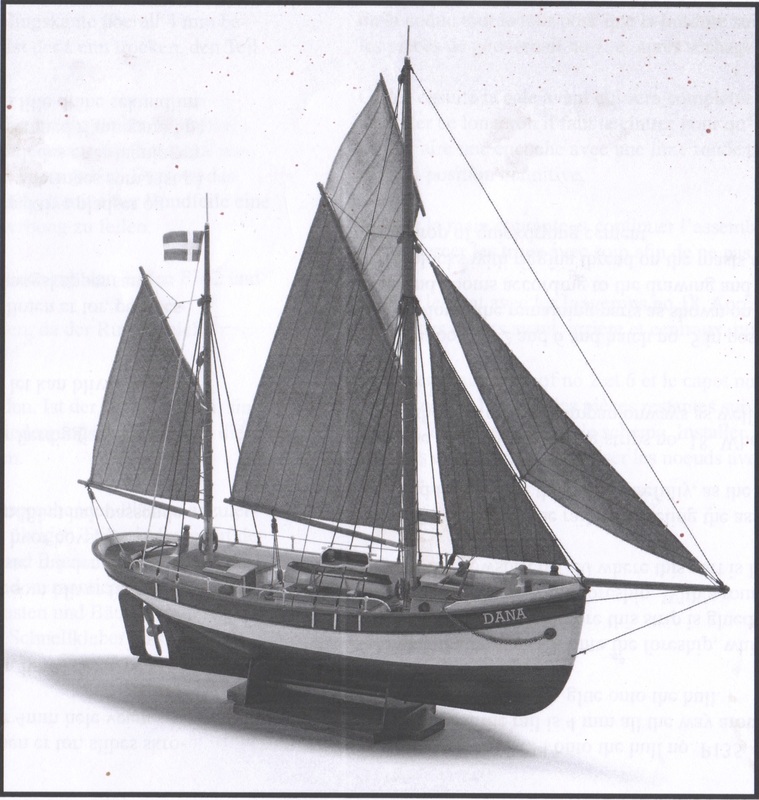 If you look at Diagram D, you’ll notice the mast is shown as well the horse for the fore staysail sheet. Seems a bit early to add those features yet, but I did go ahead and drill the hole for the main mast. By the way, if you didn’t already know, this fishing boat is “Ketch Rigged”, which means it is basically a fore-and-aft rigged boat, equipped with a main mast (with mainsail) and a shorter mizzen mast (with mizzen sail). 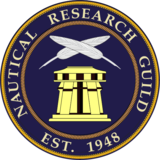 This particular boat has gaff sails with a lug-rigged main topsail. Now, I referred to the inner triangular sails as a staysail, and even though it’s attached to the mainsail, I think it’s legitimate to call it a fore staysail. The outer triangular sail I believe one would simply call a jib. Someone please feel free to comment if any of this is wrong. Anyway, getting back to Diagram D, I added the ship’s boat, which I first painted white with a black strip along the gunwale (see my last build pic). The kit photo shows the boat painted below the waterline, but I figured “what for?” and made it easy on myself. Now, the small boat actually has an interior plastic piece that has the seats, or thwarts. You can paint this and glue it inside the boat. But, if it’s to be mounted upside down, as shown in the instructions, why bother? I simply left it out on my model. 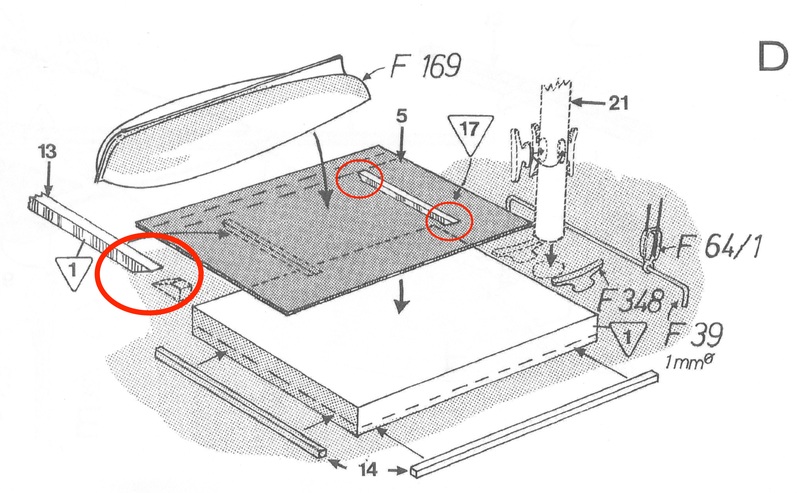 Before mounting the boat, the skids that the boat rests on have to be in place, as shown on Diagram D. Here’s a warning. If you cut the ends of these as shown in the diagram, with a taper, you’re going to have a hard time lashing the boat down with rigging line. The rigging line will just keep slipping off the ends of the skids while you’re working. 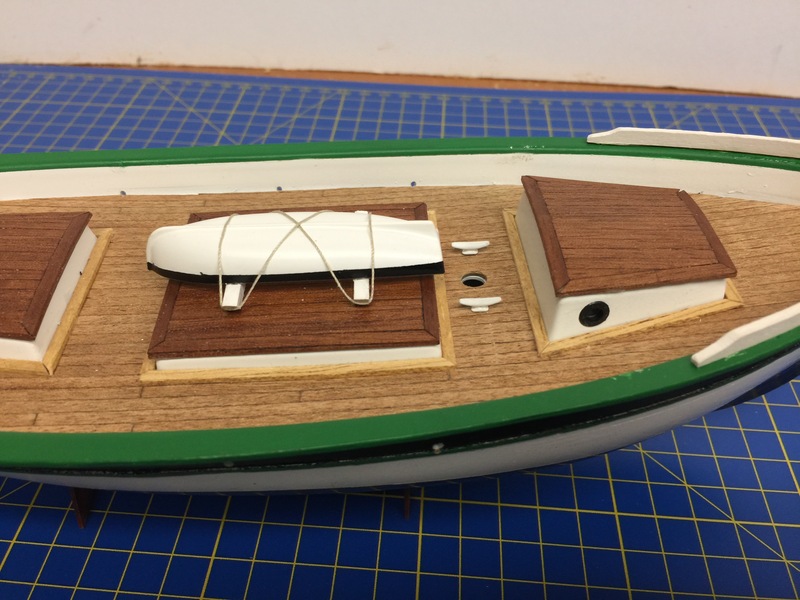 The tapered ends of the boat skids make it hard to add the tie-down lines – simple notches will be better. So, I strongly recommend cutting a square notch in the ends, instead of this taper. 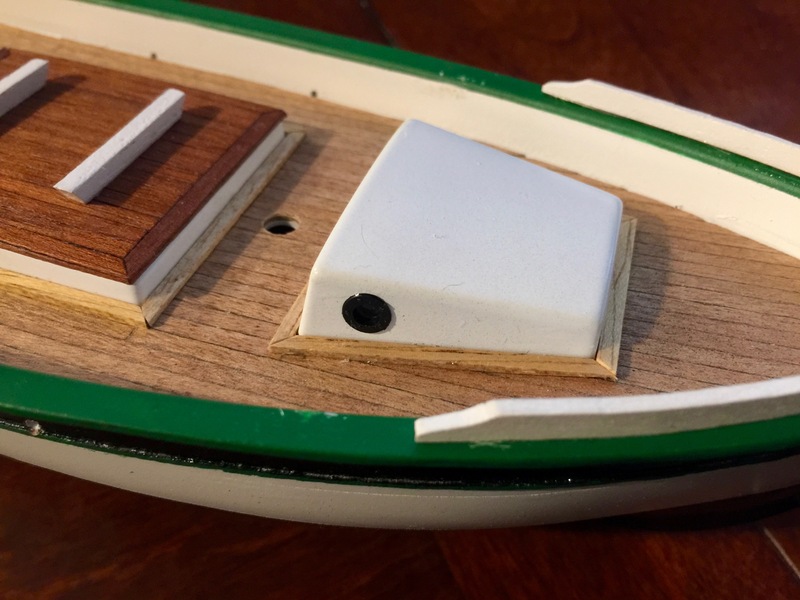 In fact, if you look at the black and white photos of the completed Billing Boats model in the instructions, you’ll notice the original builder cut notches in the end instead of tapers. Now, I managed to rig the boat tie-down with the tapered ends on the boat skids, but it was an unpleasant ordeal, and it didn’t need to be. As for the tie down itself, I just tied a small loop on one end of a piece of rigging line and slipped it over the end of one of the skids. I looped it over the boat as show in the instructions and ended up back at the starting point, where I slipped the line under the skid and tied it off, then trimmed off most of the excess.